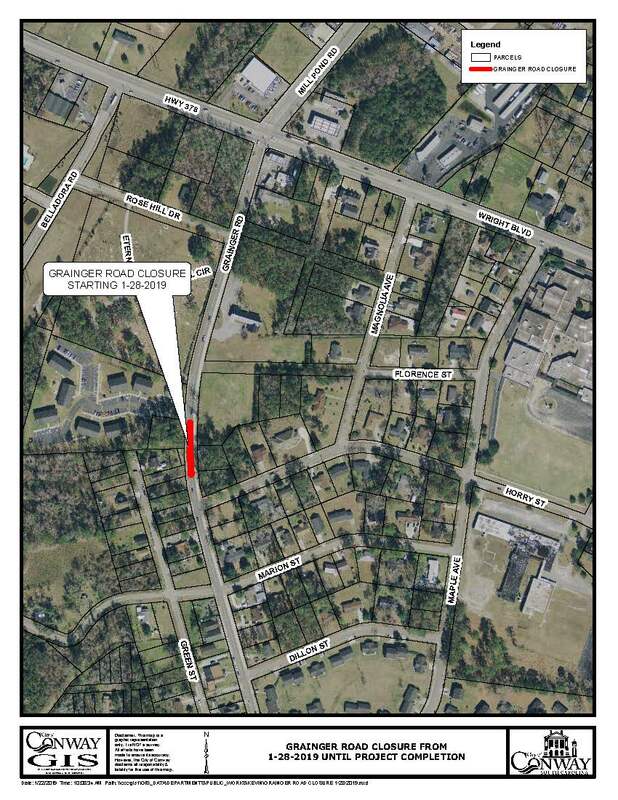 CONWAY, SC (January 22, 2019) -The City of Conway will begin a drainage line replacement project along Grainger Road on Monday, January 28, 2019. During this time, a portion of Grainger Road will be closed. The closure will be from the Horry Street intersection to Crane Creek Apartments. There will be no thru traffic allowed during this time. Drivers are asked to use 9th Avenue or Horry Street to avoid the construction.